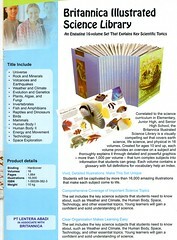 Correlated to the science curriculum, Junior High, and Senior High, the Britannica Illustrated Science Library is a visually compelling set that covers earth science, live science, and physical science in 16 volumes. 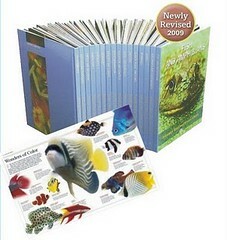 Created for ages 10 and up, each volumes provides an overview on a subjects and thoroughly explains it through detailed and powerful graphics � more than 1, 000 per volume � that turn complex subjects into information that student can grasp. 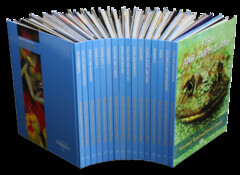 Each volume contain a glossary with full definitions for vocabulary help and index. Student can be captivated by more than 16, 000 amazing illustrations that make each subject come to life. The set includes the key science subjects that students need to know about, such as weather and climate, the human body, space, Technology, and other essential topics. Young learners will gain a confident and solid understanding of science.